When you are an employee, your employer tells you what your rate is through your salary. But as a freelancer, you are one who sets your rate. How do you know what to charge clients so that you can thrive as a freelancer? This week, we’re sharing some insights on setting your freelancer rates. There can be a lot of fear around setting your freelancing rate. You might ask yourself, “What if no one wants to hire me at this rate?” It’s helpful to unpack this question and look at how mindset is driving it. If you’re new to freelancing, you might be telling yourself that you don’t deserve to charge a full rate. Or, maybe you’re concerned that you won’t be able to attract enough clients at that rate. 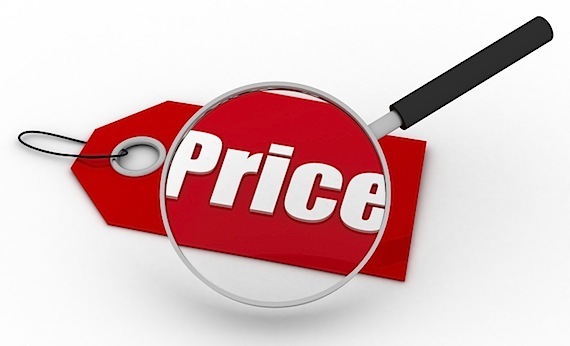 These mindsets can drive you to underprice your services. It’s important to look at these negative thoughts and shift your mindset as you consider the technical aspects of setting your rates. Your rates will depend on several factors, including your industry, experience, geographic area, and costs. Do some market research by talking to other freelancers, check out their websites, and do a Google search on market rates in your area. This will give you an idea of the going rate for similar services in your area. Also, it’s important to know where your potential clients will be looking, as they may be doing the same research and comparing your offerings with other competitive services. Determine how much you want to earn, or pay yourself, as a freelancer. If you’ve been doing this work in a full-time job, you might look at your most recent annual salary. You can also find information on market rate salaries for similar positions in your area on Glassdoor and Salary.com. Also, make sure your annual income goal covers your personal expenses and savings plans. To figure this out, look at your bank and credit card statements to get data on how you spend and save your money, and use that data to create a budget. For more details on budgeting, check out our previous blog post on creating a self-employed budget. As a self-employed person, you have some additional expenses. These are business and tax expenses that an employer would normally bear if you were an employee. Some business expenses you might incur are insurance, web hosting, technology subscriptions, association memberships, co-working / office space, office supplies, marketing, and travel, entertainment, and meals associated with client relationships and projects. Also, your taxes aren’t taken out of regular paycheck, and you will need to calculate and set aside the appropriate portion of your income to pay quarterly taxes. In addition to meeting your income goal and self-employed expenses, you should factor in a profit margin. Profit is the amount you make after you cover all your expenses. Profit helps you build a reserve to support you when income slows down or to invest in the growth of your business. Typical profit margins for freelancers are 10-30% of your total expenses (that is, what you pay yourself plus self-employed expenses). Determine how many working hours you will have for the year. Think about the average number of hours you would like to work per week and how many weeks out of the year you want to work. You don’t have to stick to the traditional 40-hour work week with only a couple of weeks of vacation and holidays. You have the flexibility to determine how much you want to work. After you’ve calculated how many hours you want to work per year, you need to take out non-billable time. This is the time you spend finding new clients, managing your finances, filing paperwork, and other activities that you can’t bill to a client. Typically, around 20% of the hours you work are non-billable. Now, you have the pieces to calculate an hourly rate. Add together your annual income goal, self-employed expenses, and profit margin, and then divide by your annual billable hours. You can use this hourly rate as a guide when figuring out how to present your fees to a client in a contract. How you structure your fees in a client contract depends on the type of work you do. The most common structures are charging by the hour, per project, or on a retainer basis. Consider the pros and cons of each structure as it relates to your freelancer work. Hourly. When working on an hourly basis, you charge the client based on the number of hours spent on the project. This is the simplest way to work and accommodates different types of projects. However, some clients may not want to work on an hourly basis without a project ceiling. You will need to be diligent in keeping track of and invoicing your hours. Also, it may be difficult to raise your hourly rate once clients are accustomed to working with you at a certain rate. Per Project. When working on a per project basis, you charge the client a fixed amount based on the scope of the project. Because the amount is fixed, it allows you to predict your income. However, you need to be careful in how you determine the fixed amount, making sure that you accurately account for the time and other costs it will take to complete the project. Retainer Basis. When working on a retainer basis, you charge the client a set daily, weekly, or monthly fee in exchange for working on a project for a specific amount of time or to meet a specific milestone during the period. Similar to the per project structure, it allows you to predict your income. And for longer contracts, it provides a consistent income stream. Again, it’s important that you accurately estimate the time and other costs to deliver to the client over the duration of the contract. Also, you might mix up the types of rates you charge depending on the type of client or project. In the end, it comes down to how you communicate your value. You need to communicate what’s included in your rate and how you will help the client. Be clear about how much time you will be spending on their project, what your deliverables are, and any other expenses that are necessary to deliver your services. Also, show them examples of how your work has helped other clients through your portfolio, testimonials, reviews, or references. Remember that your client knows they need a job to be done, but they may not know what goes into delivering the quality of work that you do. It’s your job to educate them on the value you can provide. If you’re looking for support in creating a thriving freelancer business, you may be interested in our upcoming Freelancer Accelerator at our San Francisco or Oakland business accelerators. The deadline to apply is October 20.